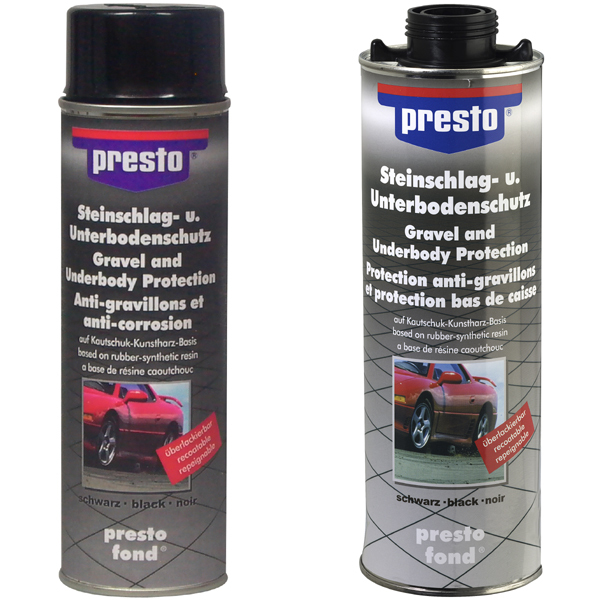 presto Stone-Chip Protection Spray is ideal for car undersides and visible parts. 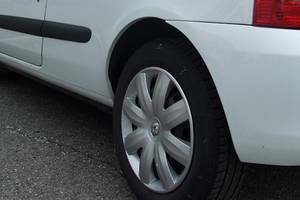 It forms a resistant elastic protective coat against stone chipping. It is also suitable for use as a damping substance in wheel cases and chassis bottoms. 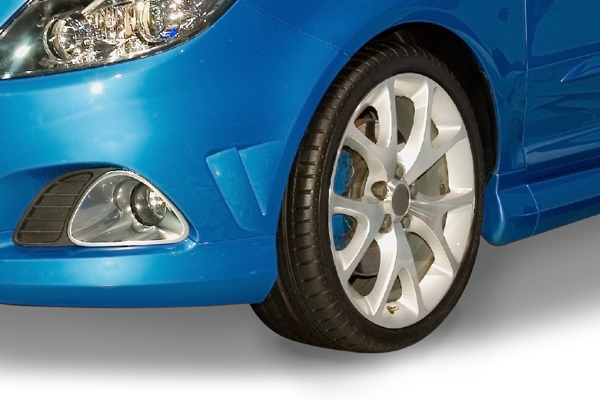 The product is available in 500ml spray cans and 1 litre spray gun cans in various colours. For best results bring can to room temperature. Protect surrounding area carefully from spray mist. Recommended spray distance: approx. 30 cm. Shake can before use for approx. 2 minutes, and from time to time during use. 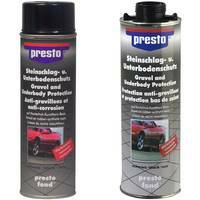 Generously apply presto Underbody Protection. After use, turn can upside-down and spray the valve empty. For best reslts bring can to room temperature. The product is ready-to-use, no thinner necessary.